Is there a way to identify issues and risks and secure your assets if you’re unable to find, or perhaps miss, during vulnerability and penetration testing? Quite likely not. 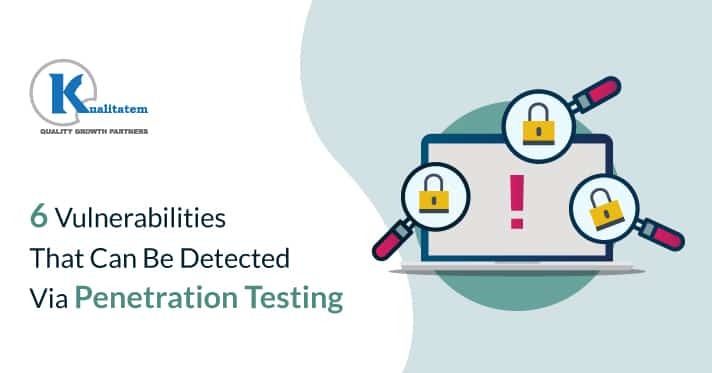 Observing the average network pen test, it won’t be a challenge to easy to see why a wide majority of organizations are still facing cybersecurity incidents and data breaches. So, where’s the lacking? The keyword is “Diligence”. Be careful about overlooking some oversights that you can in no way afford and you’ll be able to stay secure and protected. How the system was breached? What level of data was stolen? How to stop future exploitation? The procedure of taking data from a random length and deploying it into a prearranged length is called hashing. Majority of the response systems and passwords use the hashing process to change a plaintext password into letters and numbers that would seem random and meaningless to the common user. A hacker can develop a malicious program to interrupt the hashed data while it is being transmitted and could use that hashed data to create fake authentication and get access to an apparently secure network. They say enemies strike at weak points. That’s the same philosophy cybercriminals function in. They target the known weaknesses and exploit them, particularly ones for which patches have previously been released. IT managers who don’t upgrade their patches, specifically not bothering much about updating of third-party apps like Adobe and Java, have in fact exposed themselves to a vulnerability attack. Using the same password for every account? That’s putting your company under a serious threat! Poor password practices or using recycled passwords across different platforms can make you fall prey to further hack attacks quite easily. In case a password was compromised in a past data-loss incident, the hacker would easily get access to a different, however, otherwise secure platform that uses the same password. Phishing is, in fact, the most common modus operandi used by cybercriminals to access confidential data. The attacker tricks the user into giving away their private information. Demanding user’s passwords by posing as a systems administrator is the basic approach. A more progressive technique is to deceptively copy the layout and interface of a targeted app or website and trick the users into entering their username and password into that fake website they have constructed. What happens is that the target is given a false URL address or the attacker virtually interferes with the display functions showing in the address bar so that the user views a trusted URL instead when visiting a scam website. Organizations don’t generally test their own apps as thoroughly as they would for their own clients’ apps. The input validation flaw is the one main category of vulnerability in this case. This is where a client-facing input dominates the authentic functioning of a subsystem. These cover SQL injections for apps as well as cross-site scripting for websites. Cybercriminals mostly rely on exploiting known vulnerabilities alongside improper security practices; however, they victimize the non-technical and the misinformed users the most. Diligently keeping up-to-date with the latest security updates, patches, and following the best-established practices of cybersecurity can keep a company’s systems and its users protected against cyber attacks. Talk to our Penetration Testing experts and hear out how they can help you further to keep your online integrity fully secure.